Back in the 90s. I only ever lined the lower waterline in black. Then I swapped the black with colours lining the waterline and lower lash line. Then the optician scared me with stories of eye infections from lining the waterline so I lined my lower lash line in black (having left the colours behind in the 2000s) and kept the waterline makeup free. Later, I discovered the “grown up” thing to do was wear topliner and apply mascara to top and bottom lashes. A completely new look for me! The reason for this post? 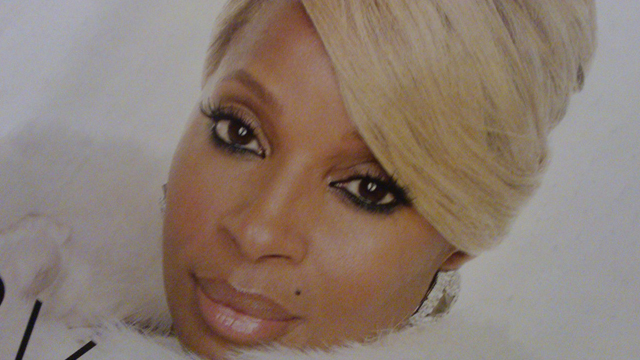 Mary J Blige is on the cover of today’s Evening Standard Magazine wearing heavy eyeliner on the bottom of her eyes and none (or a barely there line) on the top. Needless to say I’m loving this 90s revival! From now on, I will wear what I want how I want to. When my hayfever finally decides to let up, I’ll be rocking the lower lash liner without a second thought!